There will be a public display of the maps for the proposed bypass in Maybole Town Hall on Thursday and Friday the 21st and 22nd of February between the hours of 2.00pm and 4.00pm and also between 6.00pm and 8.00pm both days. Following on from a meeting with the Scottish Transport Minister, Maybole Bypass Committee is putting on the display and has invited all MSPs as well as Provost Sloan and local councillors. 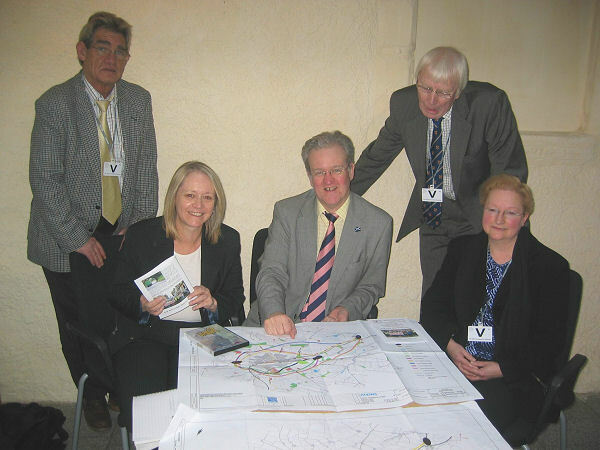 Cathy Jamieson MSP welcomed the positive attitude of the Transport Minister, Stewart Stevenson MSP, following a meeting at Holyrood with the bypass campaigners. Peter Mason, Chair of Maybole Community Council and the Maybole Bypass Committee, attended the meeting organised by Cathy Jamieson, along with bypass campaign colleagues Helen Whitefield and Bill McCubbin. The Minister outlined the process which will see the Scottish Government set its transport priorities for the coming years. 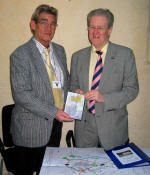 At the meeting, he said he will publish his list of priority transport projects by late summer 2008. Following the meeting, Ms Jamieson said: "I welcome the Transport Minister's positive attitude. I think this was a very helpful meeting, which allowed him to learn first-hand the problems faced by Maybole residents on a daily basis. "He made it clear that he wouldn't be making a decision on Scotland's strategic transport priorities until later in the summer, but he re-affirmed the commitment to include the Maybole bypass on the list of projects that will be considered. 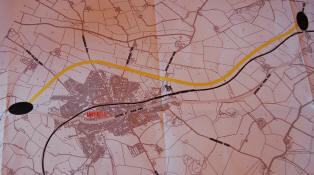 "The local community continues to support the bypass campaign and it has the backing of politicians from all parties. I will be continuing to work with the bypass campaigners over the coming months and we all want to see the Maybole bypass featuring in the Scottish Government's list of transport priorities later this year." MSP Adam Ingram said on Friday that he has sent a brief to the Transport Minister on the background of Maybole's 50-year campaign to save its residents and pedestrians from the constant assault of motorway-style traffic that has turned the town centre into a noisy, dangerous obstacle course. Mr Ingram praised the community for doing everything they could and thinks the chances of securing the long-awaited bypass are better than ever. He said: "I am hopeful we can now get the result everyone is looking for." Peter Mason, Chair of the Maybole Bypass Committee, said: "I'd like to thank the Transport Minister for listening to what we had to say about the problems in Maybole. The people of Maybole have been talking about and campaigning for a bypass for more than 50 years. "Now, we have a preferred route and it's priced realistically. The Transport Minister recognised this and we made it clear to him that we want to see a bypass for Maybole on the list of projects he publishes later in the year." 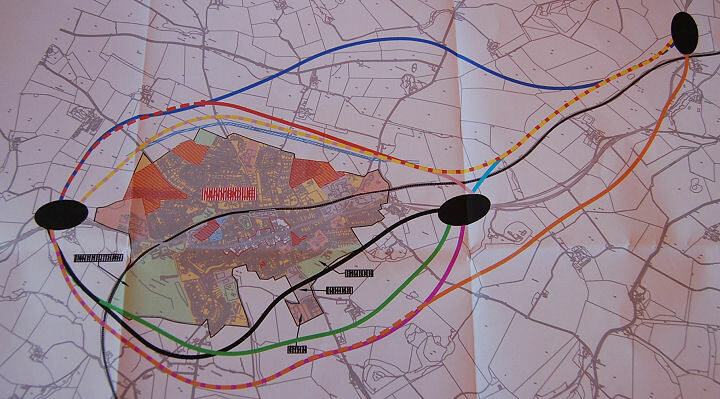 Until a decision is reached, the bypass committee will continue to engage with the community so people are fully informed about the preferred route and to answer any questions they might have. A public consultation event is scheduled to take place in Maybole Town Hall on 22nd and 23rd February and organisers hope that Maybole residents will take time to come and see the plans for themselves.